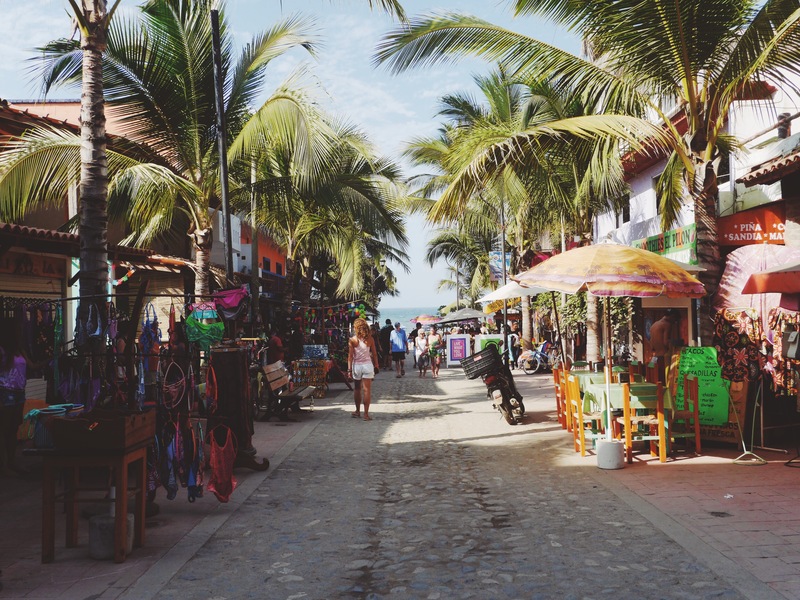 Life in Sayulita, Mexico feels like an eternal vacation. The tiny beach village on Mexico’s Pacific coast was really “discovered” in the late 1960’s, as a newly constructed Mexican highway brought in wandering surfers. Even now in 2015, the town feels like it’s been stuck in the 60’s and the surfers still run the place. We started our Sayulita morning at the Libereria, a coffeeshop, book store, internet cafe, and lofts. It’s a charming spot to wake up slowly with a latte and a book before hitting the beach and the waves. 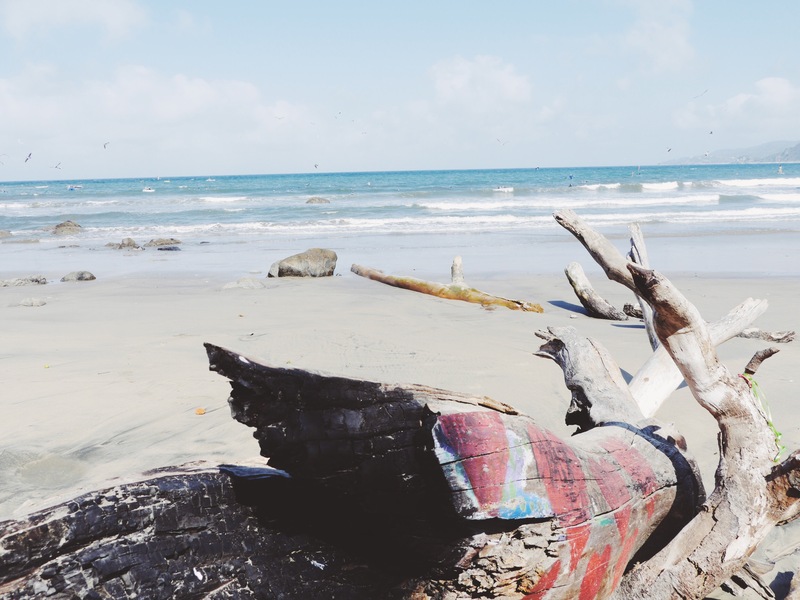 While the town is cute, the beach is the main attraction in Sayulita. Towels, beach chairs, umbrellas, and surf boards cover the sand as far as the eye can see. The waves are constantly breaking, and surfers from expert to novice are paddling out, awaiting the next big one. We splurged and rented chairs with umbrellas, and it proved to be quite the investment. We lounged, drank, ate snacks, and watched the surfers crash and burn, and then get back up again. Not a surfer myself, I prefer the solidity of the shore, but I do love surf culture. We’d walk the beach, watch the waves roll in, and feel like time had just stopped. For lunch, we had the BEST fish tacos around. This little cart right in the middle of town knows how to make this iconic meal just right. From shrimp to mahi mahi, each is battered and fried up, and served with veggies and a spicy cream sauce in a soft flour tortilla. My mouth is still watering after this taco. As the sun blazed on, we wandered the city streets and surf shops, loving it all – from the handmade artisan, to the big surf brands, to the boutique trinkets. Back on the beach though, there’s always something to see. From where we are staying in Puerto Vallarta [45 minutes from Sayulita] we are in a little bay, far from the waves and mountains. Sayulita though is right in the mountains and rocks and waves. The surrounding terrain is simply breathtaking. This one-day excursion was definitely a highlight of our Mexican holiday, and you can be sure that the next time I’m in Mexico, I’ll be visiting Sayulita. It’s charm and vibes are simply irresistible.